Precision Feedscrews is a distributor for WEXCO® Barrels, which are the finest high performance barrels in the industry. 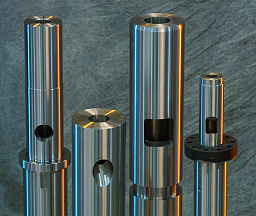 We offer WEXCO® bimetallic and carbide-lined barrels at competitive prices, and can assist you with specifying the correct type of replacement barrel or best suited barrel inlay for your specific processing needs. Whether your needs are routine or your company is in a bind due to a breakdown, we can get you going again quickly with PRECISION support services and high performance WEXCO® barrels.